Getting my pre-k students to engage in discussions has been a goal of mine this year. We started very basic with tracking the speaker whether it was me or another student, then we moved on to using our "loud and proud" voices, and finally to speaking in complete sentences. My students were doing such a great job but I noticed that several students were dominating the discussion. I needed to find a way encourage all of my students to participate in discussions in an equitable way. When Laura Candler offered to let me try her Talking Sticks Book Discussion I jumped at the chance! I introduced talking Sticks during small group guided reading. 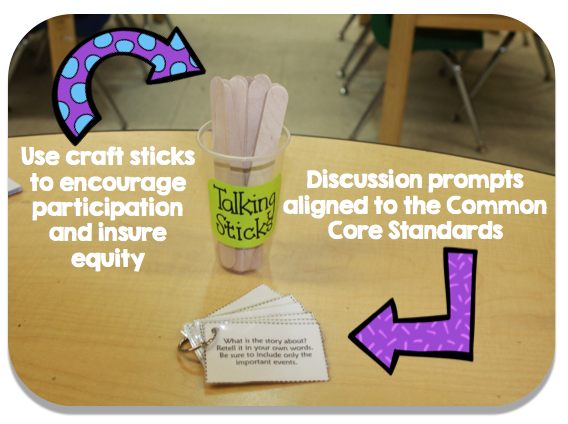 Each student was given 3 sticks and I explained when they wanted to contribute to the discussion, they had to place one of their sticks in the Talking Sticks cup. I also explained that the goal was to use all of your sticks before the lesson was over. My students who tend to dominate the conversation were quickly out of sticks and students who rarely participated were encouraged to use all of their sticks before the lesson was over. To foster discussion about the book we were reading, I also used Laura's discussion prompts. 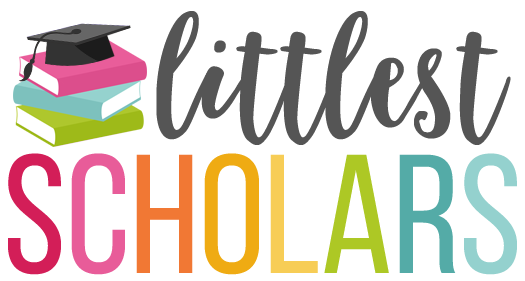 Her unit includes discussion prompts for Personal Response, Informational Text, and Literature so no matter what text you are reading you have discussion prompts at your fingertips! It has been weeks since I first introduced Talking Sticks and I can't imagine teaching without them. What I love the most...my students are more thoughtful in their responses because they don't want to "waste" a stick! With Talking Sticks Book Discussion the possibilities are endless! Use it during whole group or small group (just vary the number of sticks), you can use the discussion prompts with any text you are reading, you are encouraging your students to engage in meaningful discussions about text and ensuring equitable participation all while addressing the Listening and Speaking Standards. 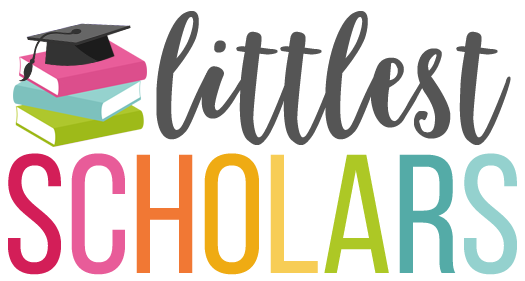 I used Laura's Kindergarten set but she has them available for ALL grades K-5, so you can find the set that is perfect for your students! 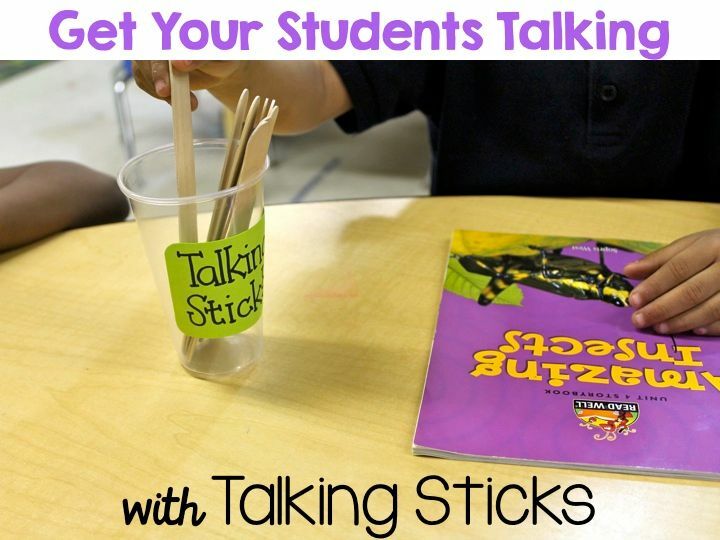 If you are interested in using Laura Candler's Talking Sticks Book Discussion in your own classroom, you can check it out at her TpT shop. I use sticks to make sure that the same students to not answer all of the questions or volunteer to read. I have sticks with students names on them and select on from the student stick container when I am asking a question or want someone to read. This way they never know when their stick will be chosen and have to pay attention. Is there a link to Laura's discussion prompts?